If you want your New Year's Eve party to sparkle, check out this set of glittery gold New Year's Eve Party printable that Jen made for her readers. Flags, favor tags, and cute straw holders (that could easily double as sparkler holders for a fun party favor) are all part of this free printable NYE party set. 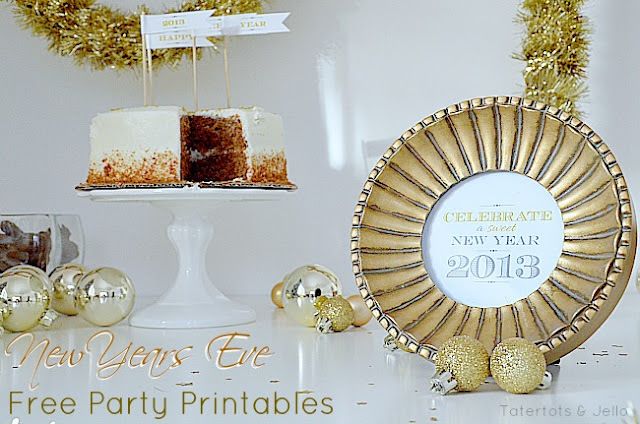 You can download the New Year's Eve Glittery Gold Party Printables over at Tatertots and Jello.